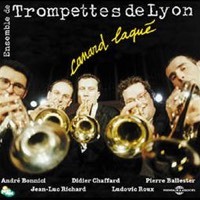 The ‘Trompettes de Lyon’ instrumental ensemble was formed in 1989 by five musicians, who met during their training in the academies of music and universities of Lyon. First recognised for their numerous classical concerts, the group moved on to musical comedy, all the while becoming more and more active in programmes for amateurs of all levels. From 1997 onwards, they worked with renowned professional artistic directors such as François Rollin and filmmaker Patrice Leconte, and created musicals, truly wending their way between music and theatre. 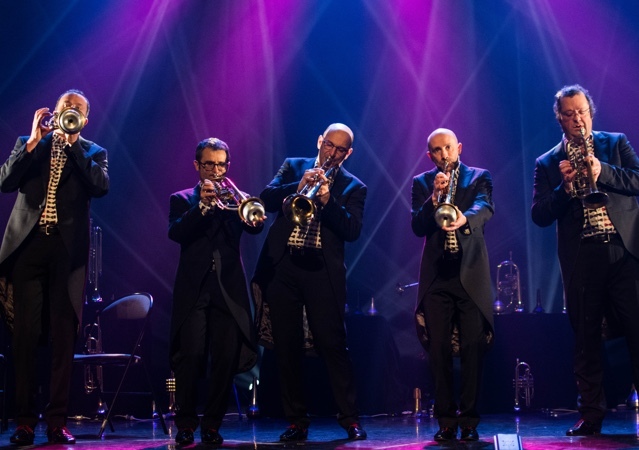 Altogether, the Trompettes de Lyon have given over 700 concerts and shows in Europe, Australia, Russia and the United States of America, performed works that have been specially written for the ensemble, taught master classes and taken part in various other projects in association with numerous academies of music. Today, this unique group is made up of the same musicians, still with the same enthusiasm as when they began.